Cary Grant and Audrey Hepburn may have looked cool on the Seine in the movie Charade but those Parisian vessels are not the equal of the elegant boat that travels the 5.5 miles from Central London to Greenwich. Comfy and quiet, the journey on the Thames is a perfect way to prepare for the splendour of Greenwich. 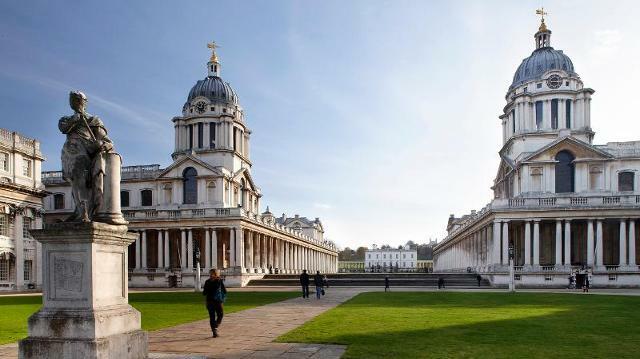 UNESCO has classified Greenwich as a World Heritage Site. Imagine, not just the Royal Observatory Museum or the Royal Naval College but Greenwich, the whole place. 63,000 Britons live in Greenwich. Despite the economic myths of our innumerate age, unemployment in prosperous London is not low. World Heritage Sites are blessed by tourism but Greenwich has over 4000 unemployed people living on a World Heritage Site. What that says about British history and the modern economy of Britain others can decide. In the supposed dark days of social democracy, unemployment in London was less than 2% not the 7% that exists in Greenwich today. Greenwich is derived from the Danish word, ‘Greneric’. and the London borough has been popular ever since the Danes arrived. We must doubt, though, that the Danes would have predicted that their small village would become the site of the Prime Meridian, the longitude north-south 0° line. When it is not dividing the world into mere hemispheres, the Prime Meridian is used for astronomy, map making and measuring time. Greenwich Mean Time begins the time zones that circle the planet. The life of almost everyone on the planet is affected by Greenwich. The Royal Observatory Society was established in 1675. The Director of the Observatory is still burdened with the title of Astronomer Royal. Royalists will approve and they can combine their visit to the Observatory with a look at the former Royal residence, the Queens House. Entrance is free, as it is to the National Maritime Museum. The Millennium Dome was built in Greenwich because history insisted that Greenwich was the only place it could be built. The Dome was reinvented as the 02 Arena. Rock concerts are staged inside the largest of the several venues. The rock artist, Prince, who has been known as something else, lived there for 21 nights. 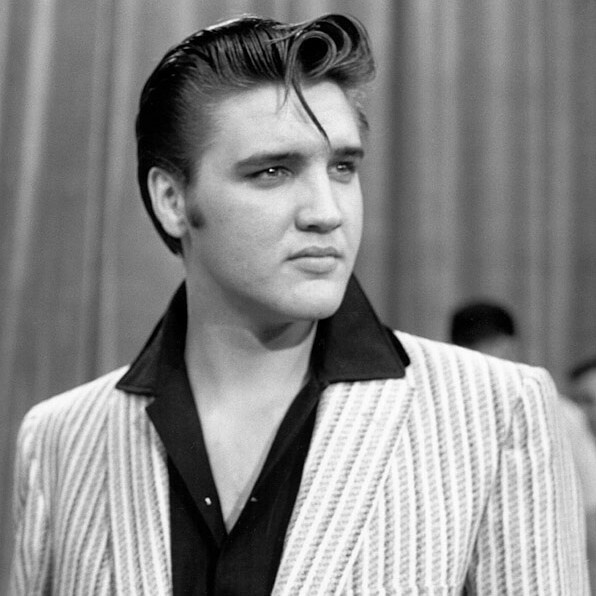 Elvis fans obsessed with history can now visit Elvis The Exhibition Of His Life. Artefacts from his childhood make the exhibition essential. The artefacts capture a normal childhood. They also exist as a reminder that Elvis, the child, grew up in a harsh economic world but became a teenager in a post war American society that was far more paternalistic than people remember. The comments on his employment card could have been written by any dole clerk in Britain. The extensive chateau spread of the Royal Naval College at Greenwich must have been inspired by 17th Century rivalry with the French. UNESCO described the College as ‘the finest architectural and landscape ensemble in Britain.’ This is not an exaggeration. The building was designed by Sir Christopher Wren who, like Elvis in the 02 Arena, had ambition to spare. Anyone who encounters St Paul’s Cathedral late at night and without warning will experience a sense of discovery not unlike those in the 50s who heard Elvis’ debut record That’s All Right. Posted in Uncategorized on May 22, 2015 by Howard Jackson.